Guillows F6F Hellcat Balsa Wood Model Airplane | BUDK.com - Knives & Swords At The Lowest Prices! 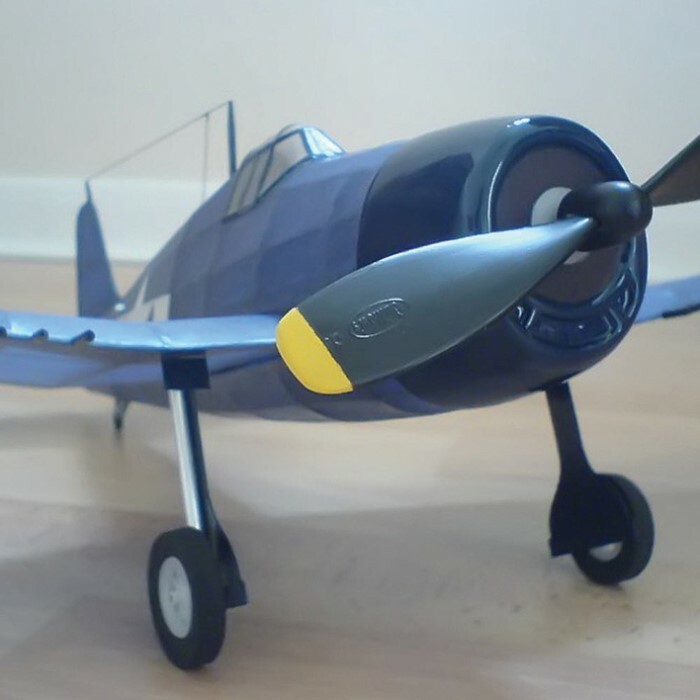 Modeled after the carrier-based fighter that also served with the U.S. Marine Corps, this model is one of the most popular kits because it is so completely easy to build. 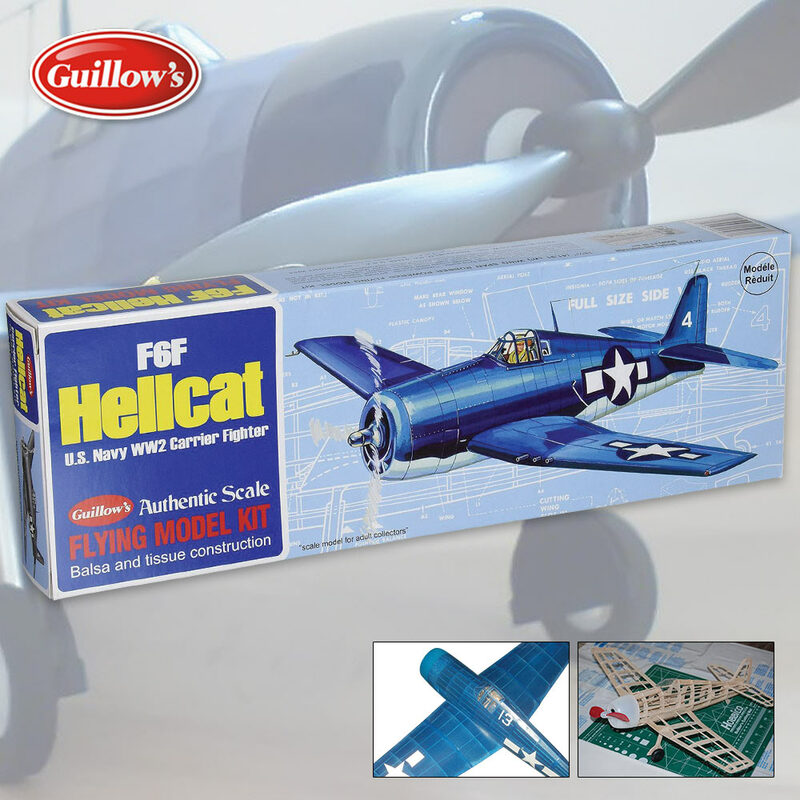 The F6F Hellcat model airplane comes with a 24-page instruction booklet that makes assembling it a breeze. 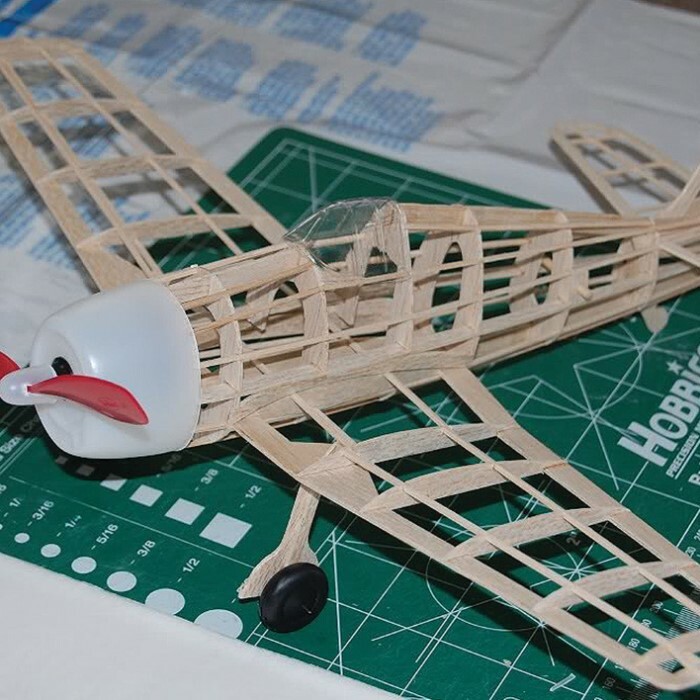 It also includes laser cut balsa wood parts, plastic cowls and canopies, decals, plastic prop, wheels and tissue.